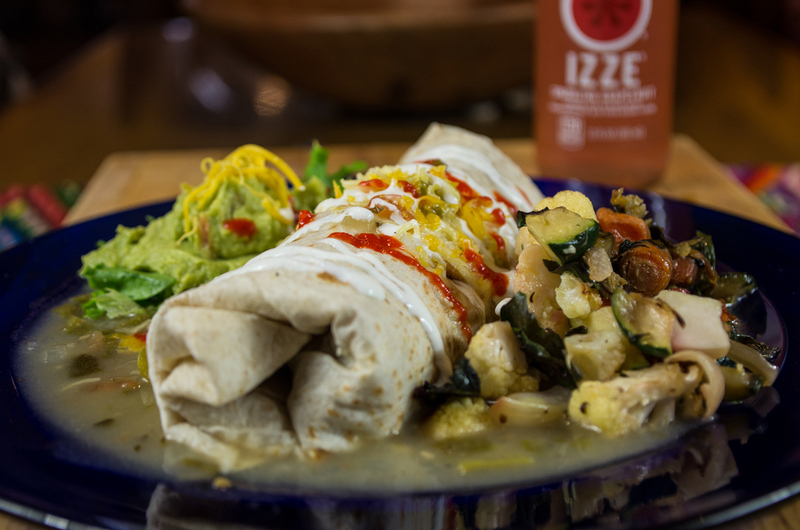 Mexican and southwestern cuisine with whole foods and contemporary influences, juice bar, espresso drinks, daily specials, beer, wine and margaritas. Traditional recipes include mostly organic ingredients with many vegetarian, vegan and gluten-free dishes. Open 7 days a week 8am till 9pm. Chuy, Fernando, Megan and Juan! The man cub project, our son Michael! Organic chickens ready to be prepped for tacos, etc..
We love perfectly steamed milk! Eggs scrambled with green chile, tomatoes, feta cheese, corn chips, and cheese, then baked and served with red or green chile sauce. Scrambled eggs and cheese in flour tortilla. Served with red or green sauce. Two eggs any style over corn tortillas with red or green chile sauce and cheese. Corn chips baked in red or green chile sauce and cheese. Served with eggs any style. Rolled omelet with fresh roasted green chile and cheese served with tortillas. Two crisp corn tortillas with refried beans, eggs, red or green chile sauce & cheese, guacamole on the side. Eggs scrambled with shredded beef, migas mix, and feta cheese, served with red or green chile sauce. Served with tortillas or toast. With whipped cream and real maple syrup. 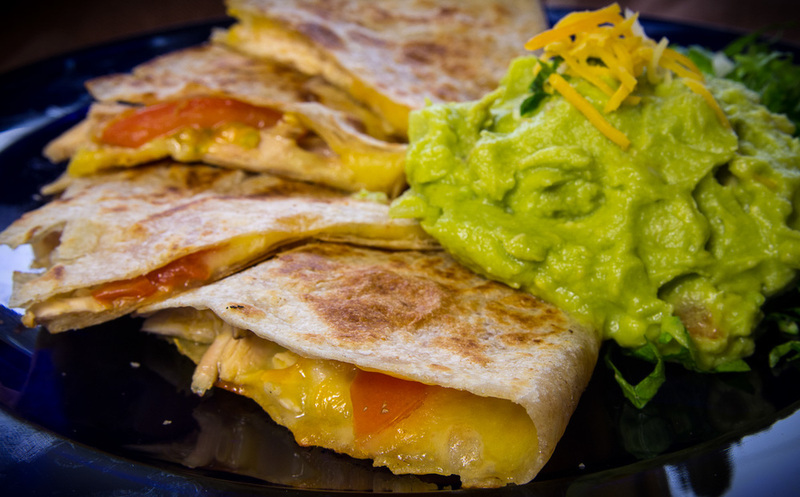 Fresh flour tortilla filled with cheese, cooked on the griddle and served with guacamole. Fresh corn tortillas with beef or chicken rolled into ‘flutes’ and deep-fried, with guacamole. Melted cheese with green chile and tortillas. Chips baked with cheese and served with guacamole. 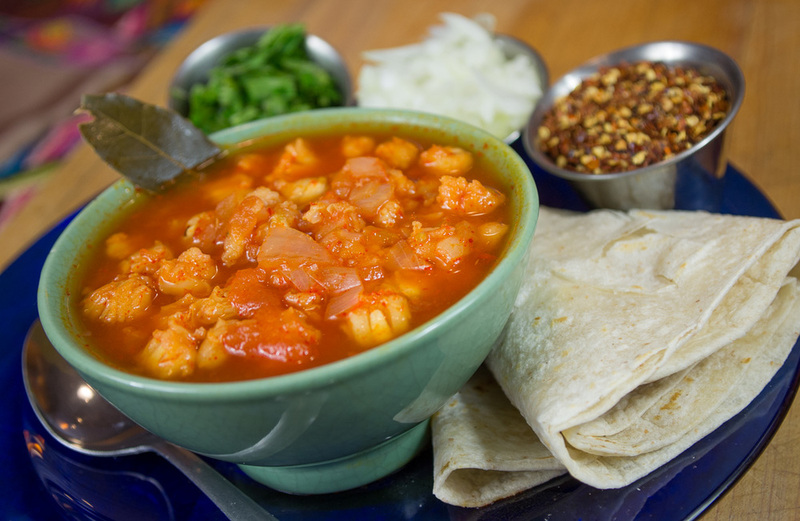 Traditional, New Mexico-style hominy stew in roasted tomato and guajillo chile broth. Choice of filling and tortillas. Three soft corn tortillas with guacamole, lettuce & cheese and your choice of filling. Served with two sides. Choice of chicken, fish, beef, pork or veggie. 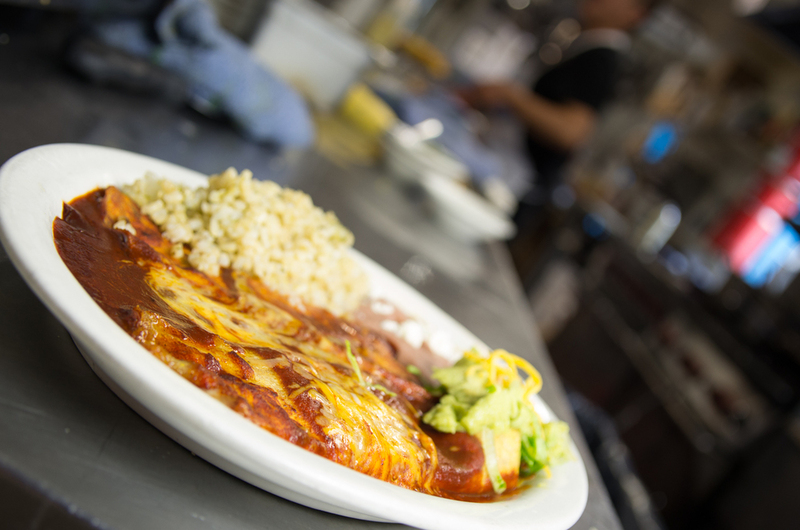 Handmade flour tortilla with choice of filling, red or green chile sauce, cheese, guacamole, lettuce and two sides. Choice of chicken, fish, beef, pork or veggie. Two crisp corn tortillas with guacamole, choice of filling, lettuce, cheese and two sides. Choice of chicken, fish, beef, pork or veggie. Two corn tortillas baked in red or green chile sauce with choice of filling and sides. 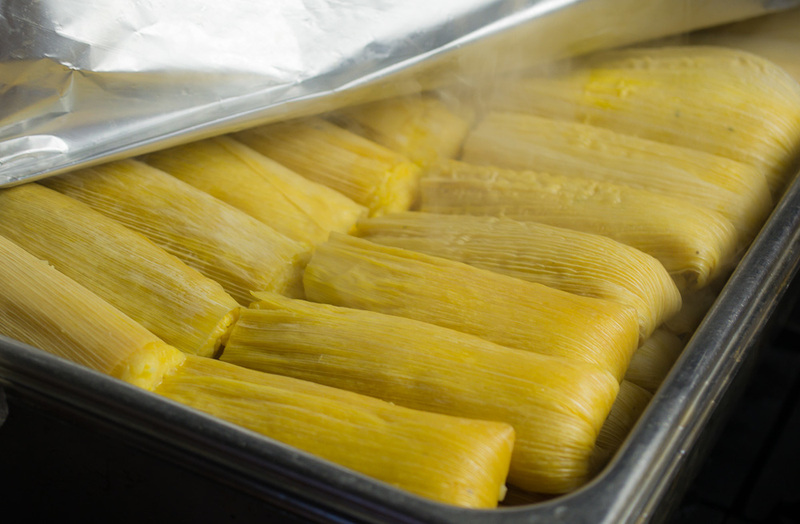 Two poblan chile, corn &zucchini tamales served with red or green chile sauce & sides. Two cheese filled, batter fried anaheim chiles with red or green chile sauce and sides. Choice of Menu Items served with guacamole, choice of red or green chile sauce and sides. Organic mixed greens with red bells, jicama, carrots, lime cilantro dressing and feta cheese. Above salad in tortilla with guacamole. Beans, rice, roasted vegetables, posole, salad, guacamole and tortillas. Organic mixed greens with black bean & corn salsa, maple toasted pecans, gorgonzola and creamy chipotle dressing. All have two shots with organic milk. We serve premium (low churn speed =less air) ice cream handmade here in the restaurant. We use an Emery Thompson 6-quart batch freezer and use Organic Valley half and half and yolks as well as certified organic evaporated cane juice (sugar). We also make several vegan, sugar-free flavors that are sweetened with brown rice syrup and agave nectar. There is something new every week so come by often! 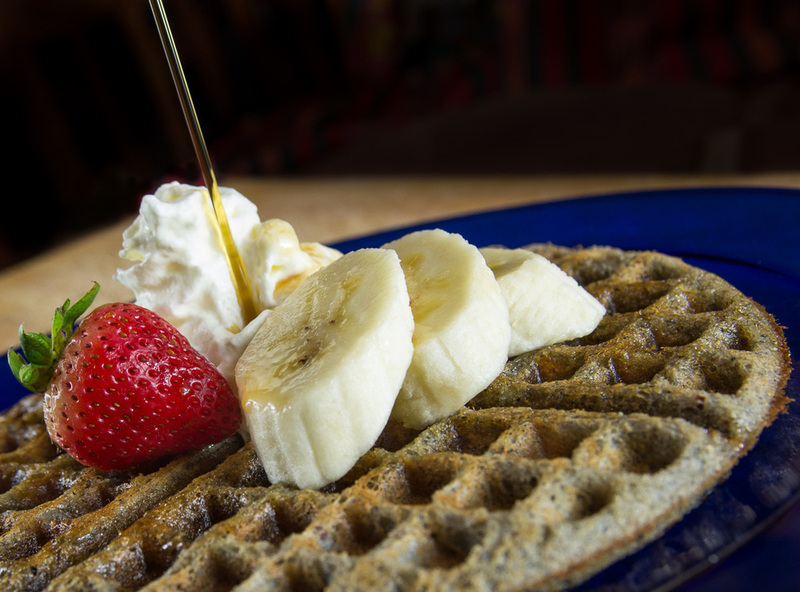 We cater parties, conferences, wedding receptions, music events, open houses, film shoots, breakfast and brunches. Menus include Mexican, Middle Eastern and more. References available. Why do we use local and organic ingredients? We believe in supporting local and organic food production because it's better for our health, for the environment and for our local and national economy. 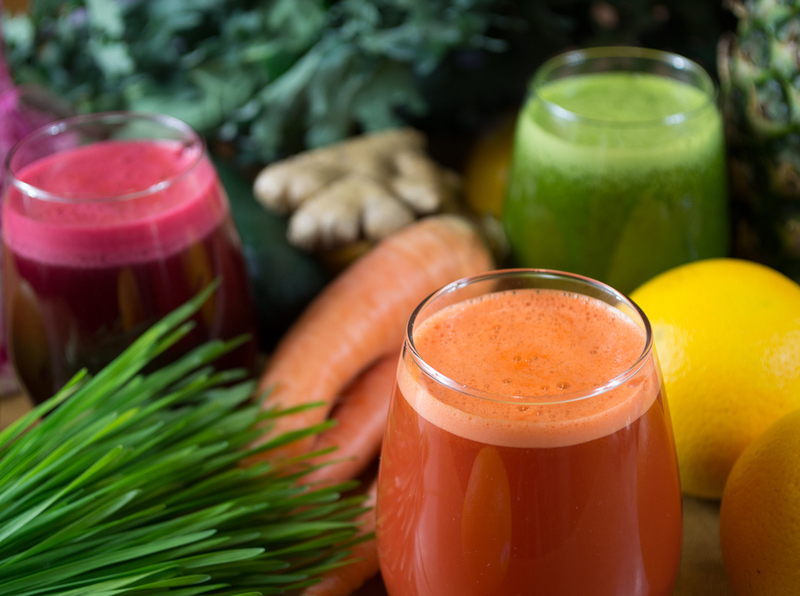 Eating better and living a healthier life is just the start. Over the last century the price of food has been artificially driven down due to the availability of inexpensive petro-chemical fertilizers that give quick results yet do not sustain or give back to the soil. Chemical pesticides and herbicides also make it cheap and easy to generate profits while ignoring the fact that these poisons are present in the food, the soil and are being washed downstream. This has caused the cost of food to go down while our health has diminished due to all these toxins in our systems. It is as Michael Pollan so eloquently puts it "cheap food at any cost". Food quality and price goes down and inversely our personal health is compromised and subsequently our national health care costs go up. In addition, when we support our local farmers we put money back into out communities and we decrease the amount of fuel required to transport our food which cuts back on harmful emissions and the environmental costs involved in petroleum production. Supporting sustainable agriculture and ranching is an investment in our personal well being, the future of food production, a cleaner environment and a more stable economy. Presently we work to source most of our ingredients with this in mind. Some ingredients are simply not available, are only available seasonally, or are so expensive that are menu prices would be much higher than they are now. We will purchase non-certified 'organic' produce locally as some farmers do not yet have the budget or desire to go through the certification process. Below is a list of everything we are getting organic (exception the cheese) at this time. Additional information describes whether it is local, seasonal, etc. and what it's for where necessary. We did not include our antibiotic or hormone-free beef or pork products as they are mostly grass-fed but also receive GMO corn in their diet. We are working on a new beef source. The pork we use is local, is fed conventionally grown hay and grain mix as well as milk from a small dairy operation.